Do you want to feel yourself like real basketball professional without leaving your workplace? 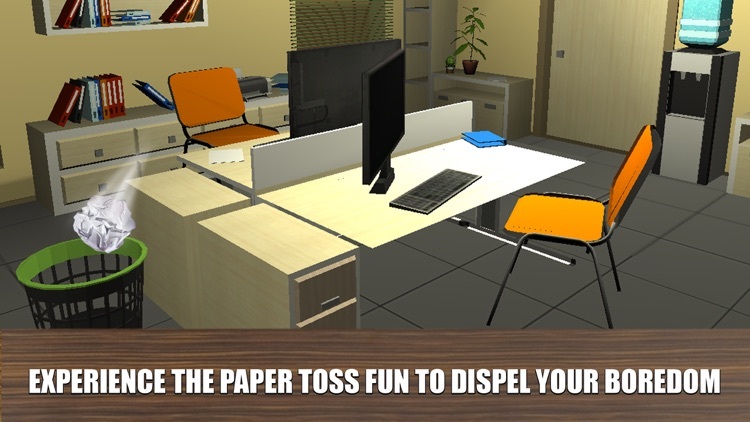 Try Paper Throw in 3D – great game for all office jerks bored at work! 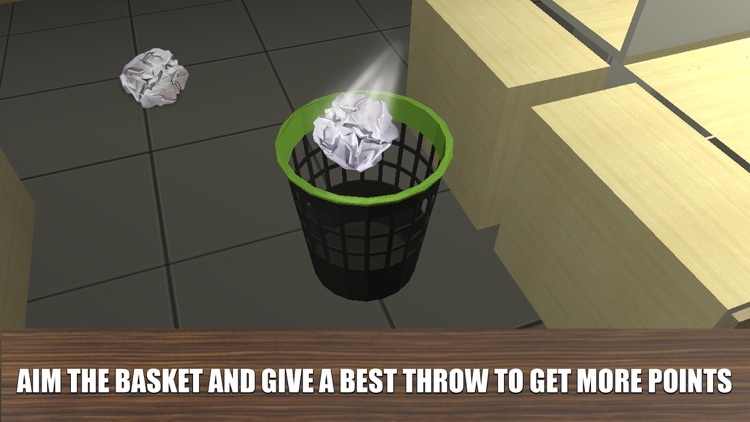 Crumple up a piece of paper, aim the trash basket and toss! We’ve brought in electric fan to make this simple paper tossing entertainment harder, so try to hit bin as much as you can! 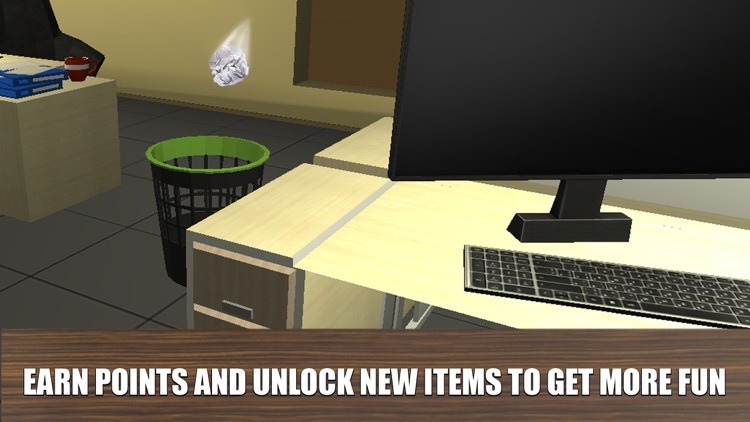 Show the real mastery of office tossing and throwing with Paper Throw 3D! Tired of paper? We’ve taken more throwing items for you! 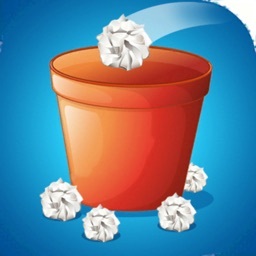 Try to hit the bin with different objects to throw and have fun tossing paper, tomatoes and other objects! 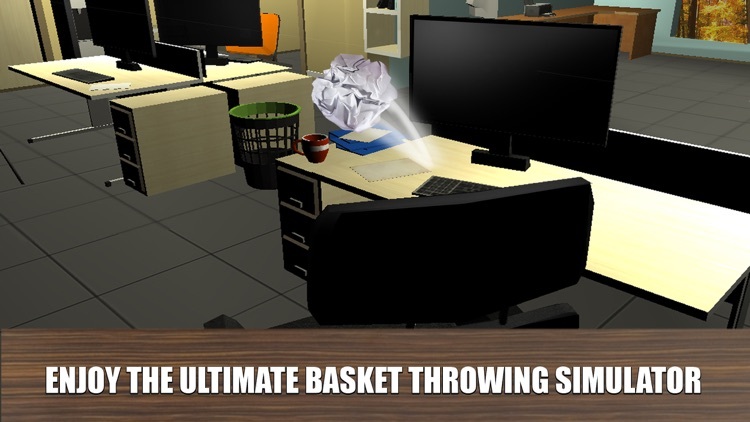 Aim right to the trash basket (your main and only target) and become a champion of throwing paper all office clerks! 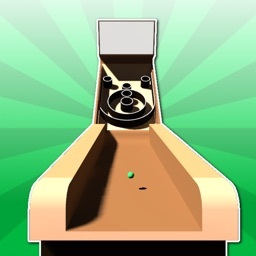 Improve your throwing skills and earn bonus points to unlock new rooms. 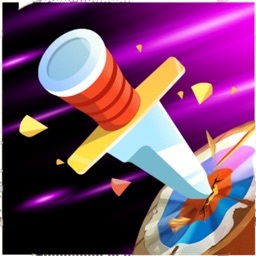 Throwing items is not an easy task – buy power-up to achieve more bonus points and ensure your victory! Basket enlargement, fan switch – try all of them playing Paper Throw 3D! Aim to the basket carefully and don’t forget about the wind direction – it could both help and hinder your throw. 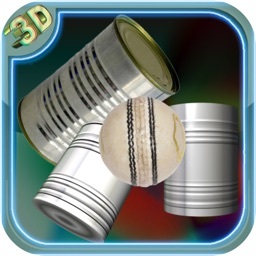 Try to throw different items – for example, tomato, egg or cup – in different scenes. Forget about the boredom at the workplace and have ultimate paper tossing fun and enjoy this simple, but attractive office entertainment with Paper Throw in 3D! Throw away your boredom with crumbled paper into the basket and have fun! 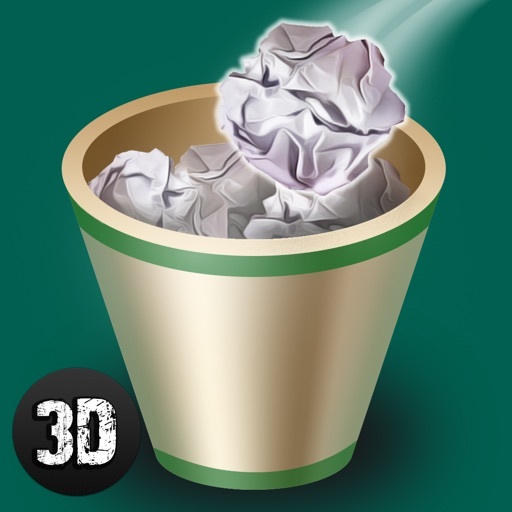 Enjoy this simple and attractive game - Paper Throw in 3D!